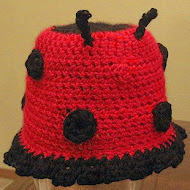 Hand-Crocheted items for every occasion - custom orders welcome! This beautiful crochet cloche is the perfect springtime accessory. Made with a luxury Silk & Bamboo yarn, it has a lovely sheen and can be created in a variety of colors. It's supple softness makes it an excellent choice for a chemo hat as well. Please comment or message me through facebook.